Where I got it: I received this as an eGalley from NetGalley. This book will be released by HarperTeen on February 1, 2011. Imagine a world where the pain of remembrance and love does not exist. Heartbreak, romance and even simple love does not exist, cannot exist past your eighteenth birthday. At least, not since the cure. 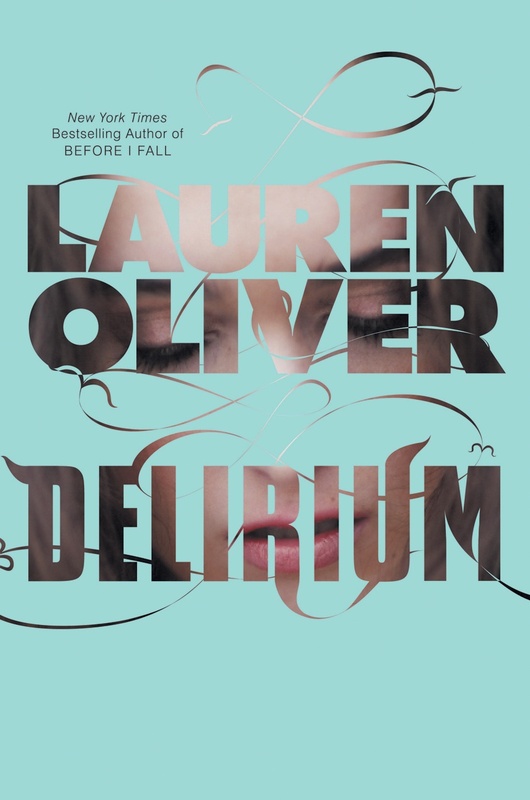 This is the world of Lauren Oliver's Delirium, a dystopia where love and hatred are replaced by indifference. For 17-year-old Lena, this is the only world she has ever known. With a mother who killed herself because of the disease, she is extra careful to watch out for any of the signs of the illness—she is not her mother. But things change when she meets Alex, who seems so different from all the other cureds (or, those who have gone through the procedure to remove the ability to love from the brain). With her friend Hana, Lena begins to see that the government might not be telling them everything about the cure, how they operate, and about love. Oliver has created a fairly original premise for a novel in Delirium. Love is a disease, and it must be eradicated for the sake of the human race. Yet as we read farther into the novel, we realize that the communities are all fairly closed off from each other. There is never any news from other states, or even other parts of Maine, where the book is set. It's just Portland, and that's all we or the characters know. What is truly terrifying is how I see why love is considered a disease in this world. Each chapter begins with a quote from a government pamphlet or book, or a common rhyme that explains what the disease is, why it must be destroyed, and just other insights into this culture. Oliver does a wonderful job at listing the symptoms and phases of the disease (preoccupation, difficulty focusing; perspiration, sweaty palms; periods of despair, lethargy; obsessive thoughts and actions; pain in chest, throat and stomach; etc), making it sound as if it is, indeed, something to avoid at all costs, much like pneumonia or something. The worst outcome of the disease is death, as in the case of Lena's mother (suicide). Lena hears horror stories of people who have "contracted the deliria" and throwing themselves off buildings or dying in other horrible ways. Lena herself is an interesting character to watch through the story. She is at first very careful with her activities, taking no risks, and her more outgoing, engaging friend Hana is much more fun to pay attention to. I kept on wondering what made Oliver choose Lena as her narrator, but after reading it I can see it was a very deliberate choice—we see how this world can be perceived as normal, and have the satisfaction of seeing Lena start to rebel as well. As far as plot goes, I thought it started off a little slow. It was necessary for the exposition, but it just seemed a little languid for a while, which isn't necessarily a bad thing; it contributed to the tone. Plus, as always, Oliver's prose is something to be savored. Lovely and flowing, it is one of the novel's greatest achievements. I am looking forward to the sequel, as the ending was a wicked cliffhanger. Great review! And you're right, the government does make a good argument for why love is a terrible disease which makes the dystopic world all the more frightening because it becomes a future that's easily imagined. I can't wait for the sequels either! Glad you liked it! I'm really looking forward to reading this one. I'm glad I read your review before starting it, cause I didn't know it was the first in a series and not knowing that can be pretty confusing when you're nearing the end.. I have this loaded and waiting to be read on my Nook! CANNOT WAIT!! Great review! I have this one on my TBR shelf and am looking forward to reading it! Melissa, that's so funny—though I liked both, I think I liked Before I Fall better. They are pretty different though. Kate—worlds that are so easily imagined can be terrifying. I think I am one of the few people that didn't love this book. I am glad to see that you enjoyed it though. I haven't read Before I Fall yet but I plan on getting it from the library. I heard that cover for Delirium is pretty. The blue part lifts up and shows the pictures beneath. I do think it's crazy how they implanted the fear of love. I could see that actually happening. Release a few articles and studies, spread rumors.... it could happen. Ha! I couldn't give up love! I'm sooo looking forward to reding this one!!! Attack of the Book, I will admit I was a little let down. Everyone has hyped it up so much that I was expecting something better. But I still think it deserved four stars. I'm almost finished this, and loving it! I'm a bit like you, I questioned why Lena was the narrator, but now I totally understand. Great review! Jessi's Review of "Behind the Mist"
Jamie Wants a New Bookshelf!! Winners of our 500 followers giveaway! !